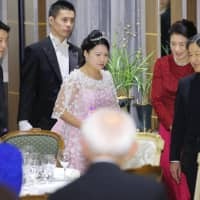 About 70 dignitaries, including Imperial family members and Prime Minister Shinzo Abe, on Tuesday attended the wedding banquet of the former Princess Ayako, the youngest daughter of Emperor Akihito’s late cousin, and her husband Kei Moriya in Tokyo following their marriage the previous day. 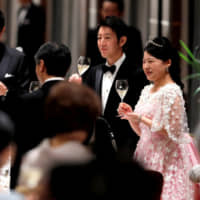 Crown Prince Naruhito and Crown Princess Masako were also among those in attendance at the event held at a luxury hotel in Tokyo. 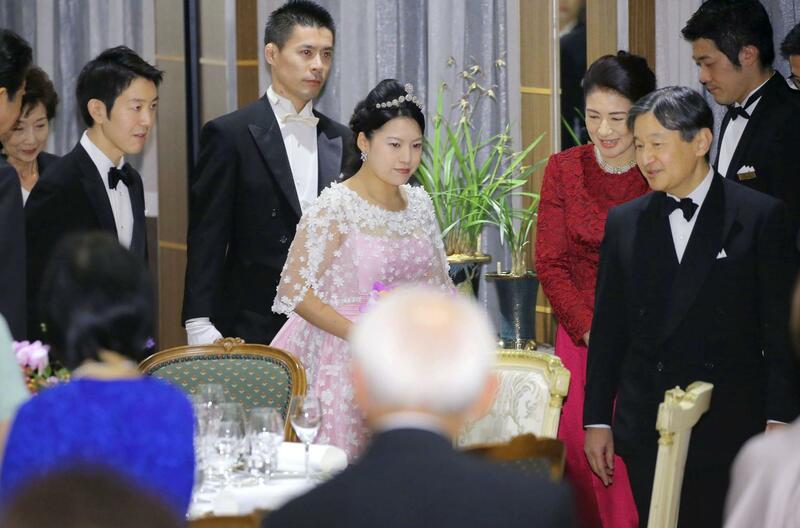 Ayako appeared at the banquet, wearing a pink evening gown, made from Cambodian silk gifted by Moriya’s late mother, Kimie, to the Takamado family when she was still alive. 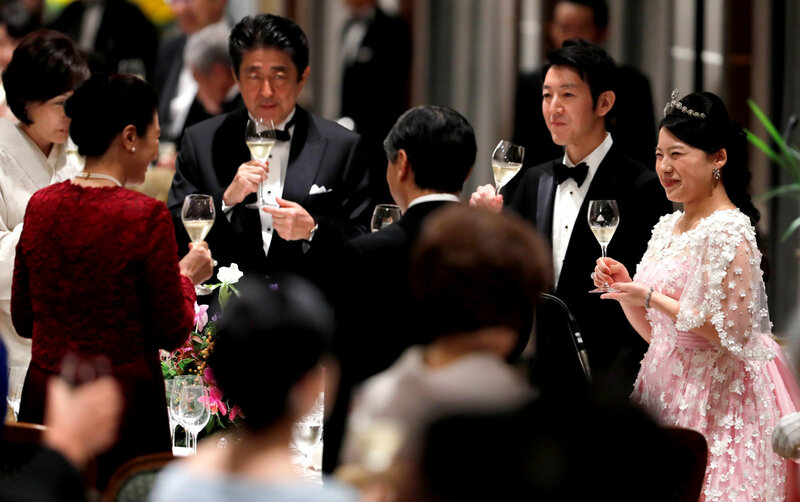 At the outset, the prime minister delivered a congratulatory speech and the Crown Prince gave a toast. “Please make a joyous family full of smiles by taking care of each other,” said the Crown Prince, who also spoke about his experience meeting Moriya’s grandparents while he was studying in Britain. The 28-year-old daughter of late Prince Takamado lost her royal status after marrying Moriya, a 32-year-old employee of shipping company Nippon Yusen K.K. The couple are beginning their new life together at a residence in Tokyo’s Minato Ward, according to a source close to them.